Starting April 2019, foreign workers and laborers from Thailand, Vietnam, Indonesia, Mongolia, China, Myanmar, Nepal and Overseas Filipino Workers (OFW) of the Philippines will be eligible for a new residence status and permit to work in Japan. Last Christmas Day, Prime Minister Shinzo Abe of Japan approved amending laws on immigration and foreign labor that will increase the foreign workers permitted and allowed to work in Japan. These approval may affect the foreign labor of Taiwan as it also has the same law as Japan will have more higher and expanded opportunities for foreign laborers. According to reports, an estimate of 345,000 foreign workers are expected to work in Japan in the next five years. This could be a problem for Taiwan as its labor force maybe affected with more skilled candidates and workers competes for a job position in Japan rather in Taiwan. Industries include nursing, nursing aide and elderly care, food service and construction industry are the main sectors that Japan needs. As the year goes, other industries will open for foreign workers as the above mention industry will have the highest number of laborers. Factory manufacturing, hotel industry, food processing, agriculture and fishing as well as janitorial work are also likely to expand. Japan as a high class country offers high quality of immigration process and quality of living in the country. Good news for all migrant workers, Micron Technology which is one of the largest investors in Taiwan is about to hire 1,000 new staff for the next year. According to Micron Technology, they will hire for a variety specialist in Engineering and the basic salary for the Engineers with a bachelors degree will be NT46,000 and for those with a Masters degree will be NT$50,000. Micron has its Production Plant in Taoyuan and testing plant in Taichung with a service center in Taipei. Wufuyang Knitting Co. is the first sock factory to be established in Taiwan with its history tracing back to the Japanese Occupation Era. In the early 1930's , the company's founder Mr. Wu Nai Yang observed that there was a market for socks in Taiwan so he purchased a few hand-cranked sock machines from Shanghai and hired master craftsmen to help manufacture ladies' silk stockings. From then on, socks have become an inseparable part of the Wu family. What are the worst diseases during winter? 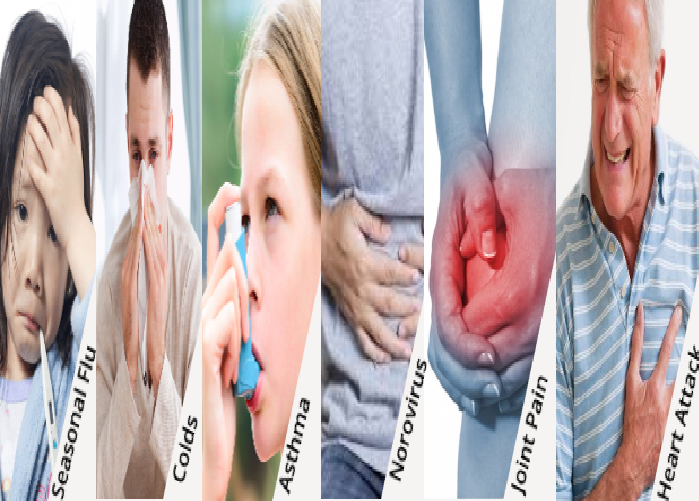 Do you know that during winter season we are more prone to respiratory and cardiovascular diseases? Yes, and two of the popular are Respiratory and Cardiovascular diseases. What are the most prone diseases? - Those with hypertension and cardiovascular diseases should always monitor the blood pressure and the wear warm clothes when going out. - Those having a history of cardiovascular disease should take the usual medicine and add more clothes when going out. - Wear gloves and socks during LOW temperature to minimize loss of body temperature. - Guard one's personal hygiene. Wash hands and wear a mask to reduce the chances of getting infected. - Wear face mask and scarf to keep warm and to prevent some allergic irritation nor catching germs. Be aware of the your health and improve your witness during winter! 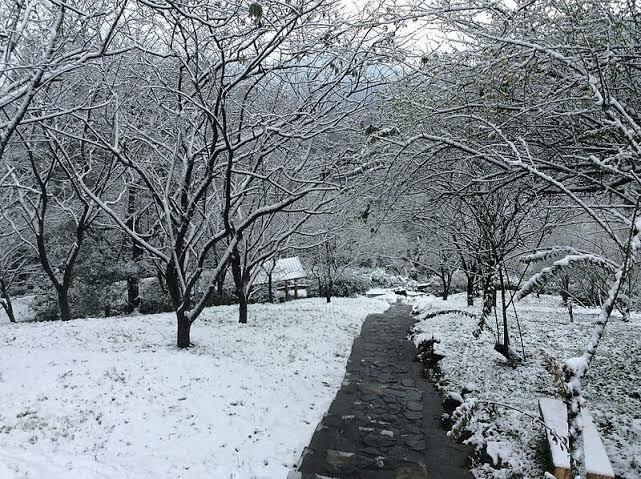 Do you want to experience the first snow of winter in Taiwan? Well, it seems that we will experience the snow this weekend before the year-end. According to CWB forecaster Chen Wei-Liang, the present cold weather will continue until Dec. 30 which will drop upto 11-14 degrees Celcius in Northern Taiwan, and 16-17 degrees Celcius in Southern Taiwan. The first snow is expected in all mountains with 3,000 meters above the sea level. and the temperature is expected to drop at zero degrees Celcius. The CWB also forecast that we will not see the sunrise on January 1 due to thick clouds that will blanket the whole islands of Taiwan. The cold weather is expected to last until the weekends because of the low pressure affecting from the Philippines. Foxlink design, manufactures and sells connectors, cable assemblies, power management devices, battery packs on an OEM/ODM basis to some of the world’s leading makers of communications devices, computers and consumer electronics. Foxlink’s customers include some of the best-known and most respected industry leaders, and have solid and long-term partnership with. In addition to its expertise in the components, Foxlink and its subsidiaries have successfully developed diversified products in the area of wireless communications and optical technology, targeting to provide customers the total solution from components to turnkey products with highest quality. Visit and apply personally at Sky Bourne International Inc at 1679 Dian St., Brgy San Isidro, Makati City, Manila. Company: Qun Hong Technology Inc.
Company Overview:Qun Hong Technology Inc. was formerly HsingPong Plant of Unimicron Technology Corp.. To concentrate on market and future development of Rigid-flex PCB, the company was spun off and founded on March 27th, 2015, and officially started operation on March 1st , 2016. Qun Hong Technology Inc.is committed to R＆D and manufacture of high-end Rigid-flex PCB to provide customers with superior quality and professional service. How to apply?Visit and apply personally at World Wiser International agency at 2nd flr DM Bldg., FB Harrison, Pasay City, Manila. Bring necessary documents. Based on the data from Bangko Central ng Pilipinas, Overseas Filipino Workers remittances worldwide reached a total of Php1Trillion and still counting. Remittances of 2018 is much higher than of in 2017. According to ACTS-OFW Party-list Rep John Bertiz, Saudi Arabia has the highest remittance on all of OFW even a Saudization rule applies, an estimate of Php8Billion remittance came from Saudi Arabia alone. OFW are still in demand as around 1.9million OFW have been deployed worldwide. The remittances of OFW provides growth to the economy of the Philippines. Skilled workers and professional workers still finding jobs overseas to have a better financial capacity to bring to their respective families. Established at Tucheng Industrial Park in December 1984, with economic growth and industrial development in Taiwan,beginning with producing MLB(Multilayer PCB) used in PC and upgrading to high-density interconnection (HDI) PCB, Rigid-Flex PCB used in smart device and smart car, continuing with outstanding talent, technology research and development, excellent teamwork and efficient management, keep improving and progressing in the printed circuit board industry. Visit and apply personally at World Wiser International agency at 2nd flr DM Bldg., FB Harrison, Pasay City, Manila. Bring necessary documents. A Pile of dead Pigs found under the bridge of Shoufeng in Taiwan? How true that the African Swine fever is now in Taiwan? There are rumors and speculations but no confirmation yet whether there are farms that are already infected. 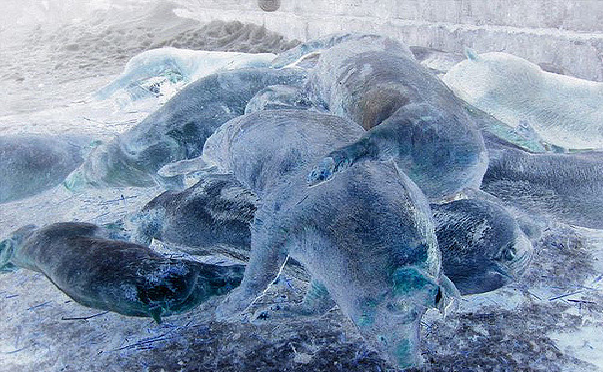 But late Tuesday a concern Citizen from the Town of Shoufeng in the County of Hualien had reported to the authorities that they've seen a pile of dead pigs under the bridge of the said Town. The Authorities now are investigating the case and undergoing testing for the African Swine Fever. The Police are now tracking the CCTV's and looking after the culprit. Meanwhile, The Authorities have reprimanded the Poultry Farms to follow the code of conduct in disposing of dead animals. Despite of the new unknown case(under investigation). The Authorities are asking the community to keep calm an be vigilant. As of now, Taiwan has NO CASE of African Swine Fever as per the authorities. Company Overview:UNIMICRON TECHNOLOGY CORP. is a Taiwan-based company principally engaged in the manufacture, processing and distribution of printed circuit boards (PCBs). The Company operates its businesses within domestic market and to overseas markets. Provide high value-added,high quality,high productivity,innovation and service and pursue customer, employee, shareholder satisfaction and fulfill social responsibility. Hiring Taiwan: Cook for Taroko International Co. Ltd.
Do you always encounter wrong send messages, pictures, etc? Well for the coming months Facebook user will experience new features because Facebook has redesigned the messenger applications wherein you can retrieve and delete wrong messages that you've sent. Meaning you will be able to retrieve and delete your messages in receivers phone without asking the consent of the receiver to delete. According to Tech Giant, the users will be given 10 minutes only to bring back the wrong messages. Unlike this present, the messenger cannot retrieve or delete the wrongly sent. It is expected to benefits to 1.3 billion Facebook users around the world. Are you aware of Mercy killing? For more than a decade it is being debated if whose in favor of Mercy Killing. But don't you know that Taiwan is the first Country in Asia to implement the "Patient Right to Autonomy Act." or known to be "Natural Death Law." Yes, you read it right! Starting January 1, 2019. This Act will take effect. What is "Patient Right to Autonomy Act."? This stipulates respect for patient autonomy in health care that includes clear definitions or patients rights on terminating of Life-Sustaining Treatment and also artificial nutrition and hydration. this new Act can instruct the Medical Institutions or Physicians to partially or fully terminate the life-sustaining treatment but have to undergo thorough evaluations. The law had been drafted last 2015 and passed the legislative Yuan but it is only now to be implemented in 2019 with a clearer five conditions. What are the five conditions? 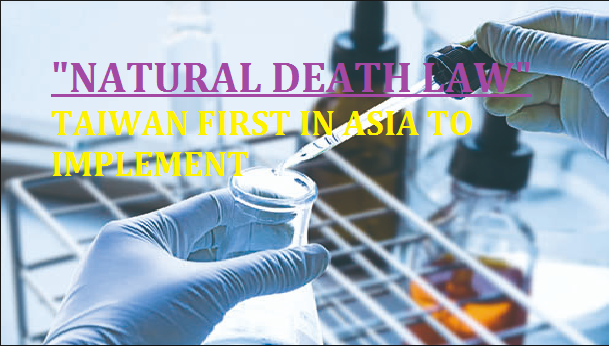 Despite of controversies Taiwan made it as first Country in Asia to implement "Natural Death Law." National Health Insurance in Taiwan is set to Increase starting January 1, 2019? Is the year 2019 prosperous to migrant workers in Taiwan? Well, some are excited for the coming year because all of us know that there will be an increase in basic wage from current NT$22,000 to NT$23,100. Well if there is a basic salary increase, of course, the Labor Insurance of Individual will also increase. What changes starting January 1, 2019? 1. The National Pension Premiums will rise from current 8.5% to 9% or from NT$28 to NT$55. 2. 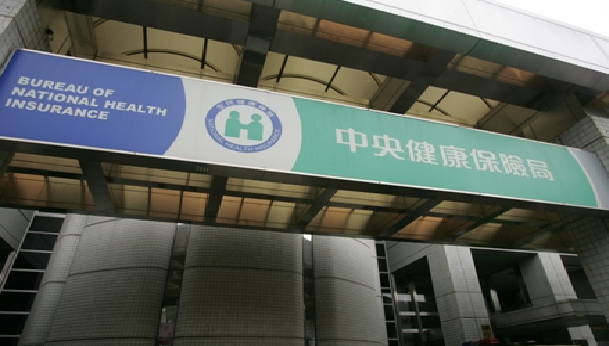 The National Health Insurance Premiums will increase from NT$4 to NT$15. So this will be the increase for the next year just check your payslip. Taiwan's Communications and Cellphones devices Exports rapidly drop to 70% this year? Do you know that Taiwan's Cellphone and Internet/Communication exportation drop rapidly to more than 70% for 11 months this year 2018? Yes, definitely drop compared to the data shown from previous years according to the Ministry of Finance. The smartphones and features phone down for 71.9% or a totaled US$400 million than the previous year. However, they have seen an increase in the demands of Chinese brands cell phones but some suppliers from South Korea are gearing up to expand the production that keeping the pressure of the Chinese brand. Could this be the reason why some companies declare bankruptcy or crosscutting of overtime? Some say Taiwan is under pressure of their economy due to the political position which is against China. Win-win Electronic Technology International Limited is a professional distribution for semiconductor equipment (Semiconductor) and surface mount (SMT) manufacturing equipment in China Mainland and HK. As an agent for a variety of high-tech equipment manufacturers in China, we mainly serve the semiconductor assembly factory, surface mount plant, as well as universities and research institutions, win-win electronic dedicate to provide complete solutions on the process and equipment. 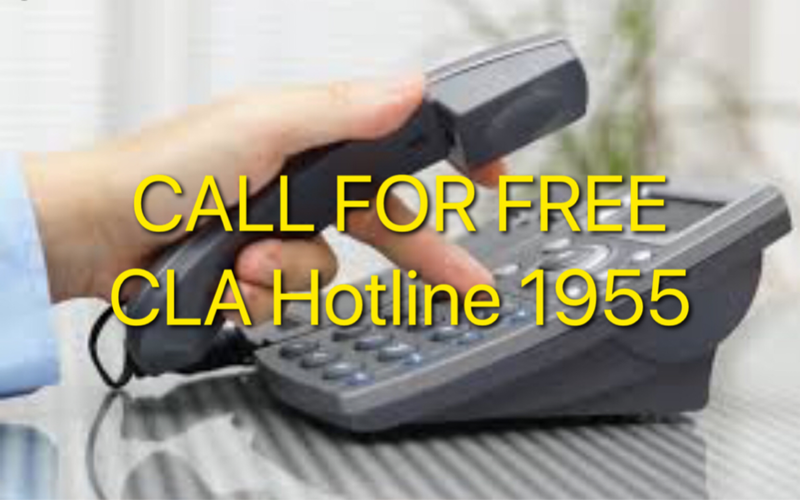 Do you know that we can call hotline 1955 for 24/7 for labor consultations and other complaints with regards to our working condition for FREE? It provides information about hiring and consulting for foreign workers services and it is set up to serve foreign workers as well as the employers. What are the 6 Major Services? - if you have any questions regarding your employment contract, salary, working hours, Occupational hazards, and Manpower agency service fee and related problems, just call and they will provide you with detailed consulting services. - If you have a labor dispute, suffer from unreasonable treatment or personal injury etc. Appeal the case and they will refer your complaint case to the local government Bureau of Labor or Judicial Police Investigation and deal with according to the law, in order to protect your rights. - If you have any legal questions regarding labor disputes, they can provide information on legal assistance. - If you are involved in labor disputes, suffer from unreasonable treatment or personal injury. They will refer your needs to local government Bureau of Labor and provide a temporary shelter. - During your work period in Taiwan, when you go to the hospital, go for public business, work or at your leisure time. They will immediately provide the translation service over the line. - If you have the problem under the authority of the government agencies, such as Department of Health Administration, Ministry of Health and Welfare, National Immigration Agency or the Police. Then they will provide with their contact information. What are the 3 Service Features? - They provide 24/7 professional service not only on the daily basis but including during National Holidays or during midnight hours. - Their Operators not only speak Chinese but they also provide counseling services in English or Filipino, Thailand, Indonesian and Vietnamese. - The service line is not for profit, so it doesn't matter to call by using your cell phone, home phone or public phone. It's free of charge! Just speak up. Win-win Electronic Technology International Limited is a professional distribution for semiconductor equipment (Semiconductor) and surface mount (SMT) manufacturing equipment in China Mainland and HK. As a agents for variety of high-tech equipment manufacturers in China, we mainly serve the semiconductor assembly factory, surface mount plant, as well as universities and research institutions, win-win electronic dedicate to provide complete solutions on the process and equipment. Established in 1976, Universal Scientific Industrial Co., Ltd. (USI) is a global leading DMS (design and manufacturing service) company. With its design-to-distribution total solutions and module-to-systems product offerings, USI is recognized as the strategic DMS partner for global IT and communications brands in the 4C (Computing, Communications, Consumer Electronics and Car Electronics) industries. Operating different kinds of business, Asia Optical carries out vertical and horizontal integration to successfully manage sixteen divisions to provide all-in-one service. Pursuance of edge-cutting technology, human nature based management, leading optical industry, sharing business results, encouraging employees to move forward are parts of Asia Optical’s business philosophy. 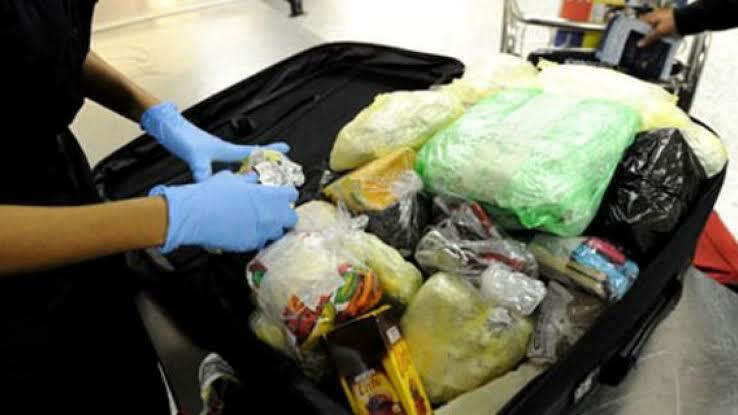 The Manila International Airport Authority (MIAA) warned Overseas Filipino Workers (OFW) and tourists regarding thieves at the airport. An influx of arriving vacationing OFW from different countries will surely go through and they advise to stay vigilant. According to MIAA general Manager that recently security personnel have resolved an issue regarding the snatchers that caught worth Php120,000 and the other caught Php250,000. Due to a very busy atmosphere in the holiday season, pickpockets are expected to take advantage. They assure that airport security are on guard to maintain peace and order. If something is missing, immediately report any loss belongings to the respective airline companies as MIAA does not handle any baggage. All baggage handlers in NAIA are equipped with body camera and they are not allowed to wear clothes with pockets and any personal pieces of jewelry. Chunghwa Precision Tubes have a sudden suspension of work with no notice on their two factories in Taoyuan, the company is known as display screen manufacturer. Its factories from Longtan District and Yangmei District had been shut down. Employees reported for work but to no avail as everything is uncertain regarding the status of the company. The company employs an estimate of 4,400 employees with local Taiwanese and migrant workers together with Overseas Filipino Workers (OFW). The company is on a financial distress and its loan must be paid immediately. Restructure is needed that is why the company suddenly suspended and shutdown the two plants. It cause too much confusion from the company’s suppliers, clients, partners and mostly its employees. According to report, early signs of its financial distress is that is already cut 20% of its manpower that happen last September 2018 but the company deny it as they only announce a 1.4% cut of its workforce. Recently the Government of Taiwan had amended the fine and penalties to the higher amount which ranges for first time offender is NT$50,000 then the second offense is NT$500,000, and if be caught for the third time then the penalty is NT$1 million. There are so many kind of confusion on what are allowed "Pasalubong" to bring. 1. Meat products. Processed or unprocessed is strictly prohibited. 2. All uncooked agricultural products are not allowed. - like fresh fruits, seeds, any herbal like leaves, and roots. if you want to bring then you have to secure a permit. - all cooked food mixed with meat is not allowed. like alamang, burgers, etc. 1. All kinds of seafood are allowed and must be sealed properly but remember must no pork mixed in it. What if I will be caught? The offenders will be given one month to pay the penalty. Accounting for a total of 5.36 million visitors and tourist in the Philippines for this year of 2018, Taiwanese tourist ranked 6th and about 3.46% of the total visitors according to the Department of Tourism (DOT). Taiwan ranked 6th largest source of tourist amassing 185,200+; visitors behind South Korea (1.18million+ visitors), China (972,550+) and United States (774,600+), although the biggest growth of tourists came from China. As a tropical island with its beautiful shores, beaches, the Philippines still looking for an estimate of 7.4million at the end of the year. Philippine tourism contributes to the growth of its economy. The recently opening of the cleaned and renovated with strict rules and regulation of the island of Boracay will surely add to the growth of tourist and as per the Philippine tourism, Baguio City comes next. Taoyuan, Taiwan- Dec.15, 2018. 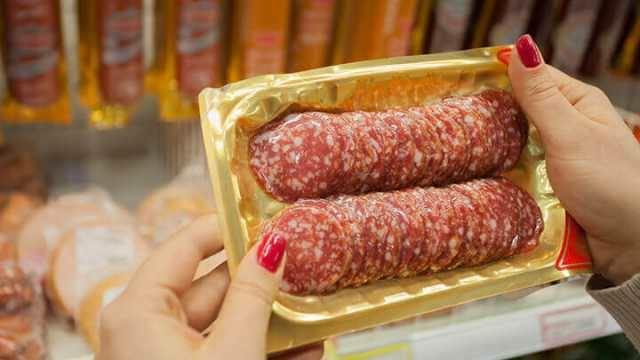 Isang Taiwan National ang nahulihan ng 3.6kg ng "processed meat" ngayong araw. Mula sa Hangzhou City, China. Pinagmulta si Ku ng NT$50,000 para sa unang offense at kinumpiska ang dala nito na nakasilid sa kanyang maleta. Labis na pina-iigting ng Gobyerno ng Taiwan ang pagdala ng kontrabando dahil sa lumalalang sitwasyon ng "AFRICAN SWINE FEVER" na aabot na sa 20 probinsya ng China ang apektado. Taipei, Taiwan- Dec. 15, 2018. Bahagyang baba ang temperatura sa Northern Taiwan bukas linggo ng hapon. Ito ay dahil sa unang bugso ng malamig na klima ng Northern Monsoon. Ito'y ayon sa Taiwan Central Weather Bureau. Inaasahang baba mula 11-14 degree celcius bukas ng hapon. At mas mababa pa sa mga mataas na parte ng Taiwan. Kaya para iwas sa sakit magsuot ng makakapal na kasuotan. Taipei, Taiwan- (Dec.15, 2018) Aabot sa 8 katao ang unang nasampolan ng bagong batas kahapon. Aabot sa humigit kumulang NT$280,000 ang inabot ng multa. Nagsimula na kahapon ang pagpataw ng mataas na multa sa sinumang mahuhuli na magdadala ng “MEAT” o karne sa Taiwan. Ang pagtaas ng multa ay resulta ng walang pakundangan sa pagpasok ng “MEAT” sa Taiwan ng dayuhan at mga lokal. Labis na pinagbabawal ng Taiwan ang pagdala nito dahil sa lumalalang sitwasyon ng “SWINE FEVER” sa China at karatig bansa. Kaya ingat tayo mga kabayan. The scrapped holidays that were abolished last 2016 were Youth Day, Teachers Day, Retrocession Day, Chiang Kai-Shek’s Birthday, Sun Yat-Sen Birthday and the day following New Year’s Day. On a question and answer session with Premier Lai that he consider reinstating the seven public holidays. The statement gained public attention that keeps protesters all over the country to bring back the holidays. Though Ministry of Labor said that they will hold meetings regarding that matter with the Ministry of Interior. Public workers are enjoying more sick leave, wedding leave, funeral leave than those working in private. Established in 1983 in Taiwan. Ichia, with over-30-year proficiency in manufacturing, has built its reputation in electronic component's manufacturing and cultivate solid partnerships with worldwide customers. To extend core proficiency in components, FPC division was founded in 1999 and focus on high-end fine pitch flexible circuit board. Up to the mid of 2014, Ichia has approximately 7,000 employees worldwide and has awarded ISO 9002, ISO 14001 and QS 9001 certification. The factories, located in Taiwan, China and Malaysia, provide global comprehensive logistics. To developing new technologies for worldwide technical support, continuously extend our production capability and offer products with excellent quality, on-time delivery and competitive cost to our valued customers, we built a 26,500m2 headquarter & RD center in Taoyuan, Taiwan in 2000. Our capability has been fully recognized by our customers in the field of Telecommunication and 3C. KINGPAK Technology Inc (formerly International Branding Marketing Inc) was founded in November 1997 and is one of Taiwan's top IC packaging suppliers. Leveraged on core Tiny BGA packaging technology to achieve good heat dissipation, low energy consumption, small area, high capacity and high efficiency memory packaging application. Subsequently led industry peers in pioneering the world's first patented PIP packaging technology and became an indispensable player in the memory and memory card packaging market. UTAC Holdings Ltd and its subsidiaries (“UTAC”) is a leading independent provider of assembly and test services for a broad range of semiconductor chips with diversified end uses, including in-communications devices (such as smartphones, Bluetooth and WiFi), consumer devices, computing devices, automotive devices, security devices, and devices for industrial and medical applications. Apply personally at JS Contractor Inc at JS Contractor Building, 423 Magallanes St, Intramuros, Manila, 1002 Metro Manila, Philippines. Bring necessary documents. The leading manufacturer of stainless steel fasteners in Taiwan, who was founded in 1978 and its logo THE is well known as the best brand in stainless steel fasteners worldwide market. It’s noticed that more and more stainless steel fasteners produced are used in PV Solar Power Systems. With Abroad, Factory & Work Experience of at least 2 yrs. Requirements: Valid passport at least 1 yr, UMID, Birth Cert. and other ID for checking. In the annual Taiwan-Philippines Industrial Collaboartion Summit, Taiwan’s Chinese National Federation of Industries with the Filipino industry associations in Taipei have inked and signed six memorandum of agreements or MOU. Under the signed MOU’s, looking for the growth of opportunity and cooperation in the industries of electronics, semiconductor, electric motorbike or E-Bike, energy and plastic industries. Also in the said MOU that Taiwanese businesses will increase its readiness and inclination of investments in the Philippines according to Deputy Economics Minister Wang Mei-Hua of Taiwan. Taiwan and Philippines have are doing good and correctly cooperated especially in the electronics industry where some big companies already invested in. Philippine investing will reduce risk for Taiwanese businesses of on-going trade war between US and China. Taiwan Government is giving another hope to all migrant workers especially to "med level" workers. The cabinet had drafted last November 29, 2018 a new bill called "New Economy Immigration Bill" that aims to give more incentives and easier access to permanent residency. The main target of this bill is to attract more foreign national to work in Taiwan. based on the data, Taiwan has an annual shortage of Manpower for at least 110,000 annually. What are the qualifications to access permanent residency? Another requirement for Mid-level Technical Personnel should have Professional Certificates or other Certification documents, with annual quotas set for each industry. And living in Taiwan for a minimum of 183 days per year for five (5) consecutive years. Note: the monthly income should not be below 70% of the average salary in the field of profession. for Factory Workers, Technicians, Assistant Professionals, Mechanical Operators, Assembler. the monthly threshold is NT$41,393. for Social Workers and Health Workers, the monthly salary threshold should match the long-term caregivers which is NT$32,000. Once the draft bill will be approved by legislative Yuan, the company will now be allowed to submit a list of personnel that is capable to access the Permanent Residency. Take note this new bill is drafted in replacement of the previous drafted bill. this new bill seeks to lessen the requirement in getting the APRC. And also the cabinets wait to finished the election before drafting a new bill.